Is your storage space too small? Then give us a call! 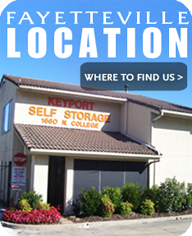 Our family, at Keyport Self-Storage, has specialized in self storage services since 1976. Since opening our doors over 35 years ago, we continue to own and operate our family business with one thing in mind: 'Serve our customers; and serve them well! ' 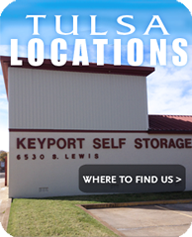 Keyport Self-Storage is conveniently located in Sherman, Texas and our friends and neighbors in this growing community place their trust in our facility to safeguard their valued possessions. Keyport Storage has a variety of storage-space options to accommodate your individual and group needs including self storage units, RV storage, and boat storage. Whether you desire a compact 25 square foot area to house your smaller personal items, or a more spacious 250 square foot room to store large furniture and heavy appliances, we are committed to providing the best possible option at the best possible price! To ensure you receive the most cost-effective storage option available, we offer a "Unit-Size Estimator" which allows you to accurately determine which of our most popular units will provide the most tailored choice for your particular needs. We offer tips on how to properly prepare, pack and store those valuable items Our reputation at Keyport Self-Storage is a reflection of our continued commitment towards excellence in customer service. We are proud to display our A+ Rating with the Better Business Bureau as well as our on-going affiliation with the Texas Self-Storage Association. If your space is too small, give us a call! 903-868-9500.